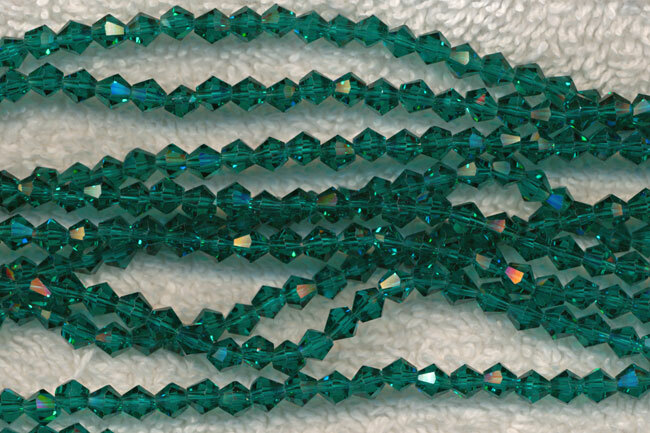 CLEARANCE 4mm Aqua Teal Bicone Crystal beads for jewelry making. These faceted Chinese Angelic Crystal glass beads are sold by strand containing 120 beads. Compare to Swarovski Crystal Bicones Style 5301 - 3 strands min.